If you believe TV shows, the FBI has some pretty crack teams of profilers and crime solvers. 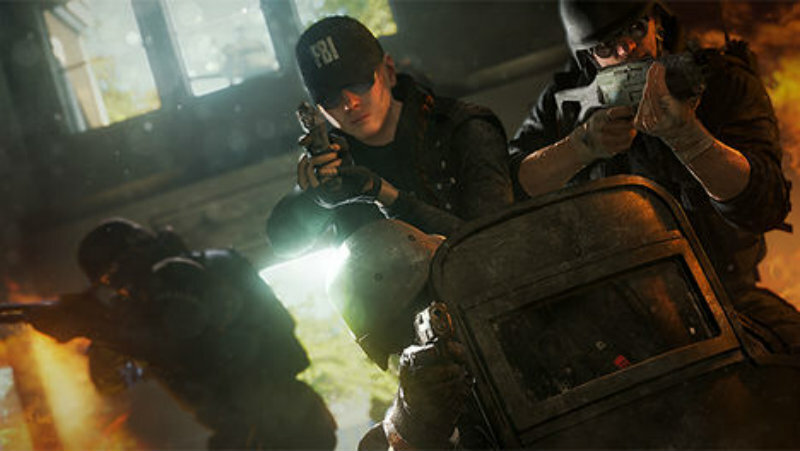 I’m still confused how TV lets everyone have jurisdiction as needed, or why sometimes we see police SWAT teams as compared to FBI swat teams, but whatever – Rainbow Six Siege’s American team is comprised of some cool people of FBI SWAT. Thermite: a prominent demolitions expert who carries a thermite breach charge capable of burning through the most resilient barriers. Castle: a 3rd generation law enforcement officer who brings an expertise in defines and reinforcement, particularly thanks to his signature reinforced barricades. Ash: another demolition expert but this time from a distance; she can use weapon-mounted breach charges to blow open doors or walls from afar. Pulse: formerly an intern for the FBI biometric program, he’s equipped with the Heartbeat Sensor to sense enemy presence through walls and barriers. The American team seems really intent on blowing everyone up, it seems. Well, two characters can do that, while another can sense through intact barricades and another can create seemingly impenetrable barriers. It just seems a bit odd to me to have so much focus on blowing up of walls and doors in the different ways the characters can. I’m also curious how matchmaking will work – will people request to play as the heartbeat guy and end up being forced to play as the lady who can destroy barriers from afar? Players won’t be forced to play too close to their role seeing as everyone has guns and can kill the enemies, but it just seems a bit forced to me and I wonder about how the actual gameplay logistics will work out. While I know that these games are traditionally best enjoyed with friends, I’m also curious how the single-player will work. Can you chop and change between the various characters? I suppose I’ll have to wait until E3 to know more. Previous article The Marvel STAR WARS comic book just potentially changed the movie canon in a major way!